The once leader of the Hate Radio line-up, has in his own words, been fired. Bill Colley was once the darling of the radical fringe TEA movement of Sussex County, Delaware on local talk radio station WGMD. However, when the real on air powerhouse of that station, morning host Dan Gaffney, left to join the new talk station Delaware 105.9, and took with him in due course, pretty much the rest of the on air personalities and advertisers, the real Bill Colley came to the fore front. Mr. Colley had always been a bit of a crank on air, having no patience with callers that dared to disagree with his monotonous monologues. His style was to hang up on these callers and then spend two minutes calling them names, and questioning their intelligence. When Dan Gaffney first left WGMD, Colley moved to Gaffney’s old slot, and what has always been considered in the business as the prime slot, morning drive time. It wasn’t long before it obviously was realized that people did not want Colley’s brand of hate first thing in the morning. I believe it was this realization that prompted management to hire a co-host for Colley. Judy Mangini was brought on, in my opinion, to soften the atmosphere. Judy Mangini is an outspoken person and should have added a fresh perspective to the discussion. However, Colley was not willing to give her an even playing field and was constantly mic blocking her, and she ended up being little more than his “giggle girl”. Colley was eventually moved back to afternoons. Judy Mangini was kept on with a new co-host in the mornings, showing in my opinion, who was the ill-fit for mornings. But the winds had changed. Even back in his old comfort zone it was clear Colley had lost his edge. Advertisers were fewer, there were only a half-dozen regular callers and almost no new callers. And the calls were more and more fringe and laced with racism and hate. Colley playing to what little audience he had left spiraled down with them. He had also taken to writing hate filled post on a blog site under an assumed name, “BUMPER”. One such piece made the accusation that all road side trash dumping could be linked to, in his words, “illegals”. The writing was on the wall for his end though, when he was moved from show host, to reading the news in the afternoon. Though his fellow traveler, Doug Beatty attempted to keep him in the loop with extended quasi-conversations after a news break, it was clear that his influence at WGMD was gone. The fact that he couldn’t resist injecting his editorial views into, what were supposed to be, news reports only further demonstrated his lack of professionalism. I am not sure it had anything to do with his being fired, but the title of a story posted on WGMD by him could not have helped his position. The recent death of a young man who had stolen a car and then was killed in a traffic accident while fleeing from police, was described by Colley in the title of the news post as “Strange And Possibly Deadly Justice”. Of the ten comments on this post, only one was in agreement with Colley’s idea of justice, the rest were critical of his use of the word justice, and condemned him for his heartless and unprofessional tactics. As you can see people were angered by his so-called style of journalism. I am sure some of his die-hard supporters would have agreed with this statement, but the mainstream of Sussex had, had its fill of Bill Colley and his hate-filled style. It would seem as though WGMD management had as well. Or at the very least it is likely that the advertisers had. It is likely that it was pressure from advertisers, or the lack of advertiser, that drove management to make the cut. This was Colley’s parting shot. Notice, no thank you to his listeners. Also the part where he says, “save your telephone calls unless you’re offering me a job”, in my view is him saying, don’t bother me, I’m not your friend. So he has gone out in the same manner that he performed, hatefully. 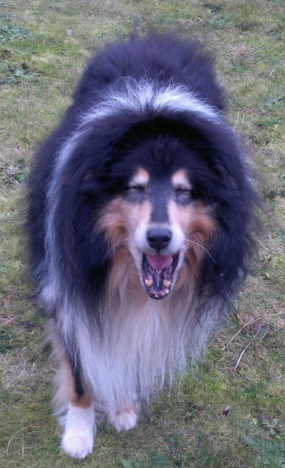 In the end the “Big Dog” has gone out with a whimper, not a growl. Personally I think the political community is better off without his brand of politics. He was already gone, but now it’s official. 31 Comments on "Colley Goes Out With A Whimper"
It was always the short straw that had to listen to him around here. He’s not been missed and firing really is karma coming back around to bite him like a rabid dog. Doug Beatty is by far the worse talk radio host I have ever heard. (I am sorry to be blunt!) I love bad talk radio, I really do but I cant even put that station now from 3-6. Wgmd does not reach dover but he spends so much time talking about Dover issues. Colley had like 12 crazy callers but Doug has even boiled it down to just the 6 crazy of the Crazys caller. I didnt like Bill but he did know how to put on a show, Doug is the corny Uncle who finds him self hilarious, he is very clever, if clever means you say the same line over and over that you stole from someone else. Bill Colley is too angry to listen to and life is too short for that. Although Bill Colley was less than honest ( in my opinion) during his commentary at election time, I enjoyed listening to him, and am disappointed to see him leave WGMD. FBH, there is always one in the crowd. LOL! Though I had swore never to again call and engage him in a conversation on air, and never did, since I knew him to be, as you say “less than honest”, I did listen. It is important to know what is being said on all sides of the political spectrum if we are to counter the propaganda. 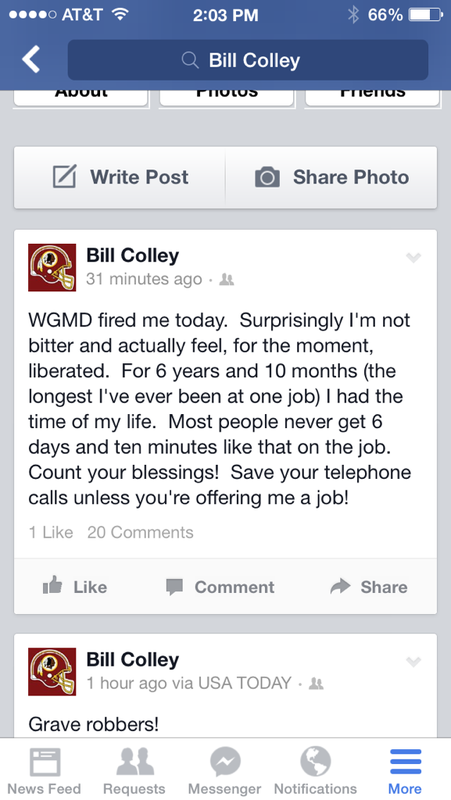 Thanks for your hate filled version of Colley’s career at WGMD. Your talk show career amounts to “Caller Frank”. Probably doesn’t pay much but you can’t get fired or thrown out. Most people probably cringe when you come on and were happy you stopped calling in to Colley. Your edited version of “Colley’s Parting shot” are “Typically Frank”. Why didn’t you post the whole thing? Colley admitted he was fired, we just don’t know the reason. Maybe he parked in the boss’s space all the time and got fired for it. That happened once there. He could have just said he no longer worked there and left it at that. He admitted it was the longest place he ever worked. Apparently, it was time to move on. He is a rolling stone. He set his own personal record at WGMD. He did not take a shot at the station when he left and in fact he praised the job they had given him. “Save your telephone calls unless you’re offering me a job!” was only his attempt at humor that your hatred did not allow you to pick up on. I found it funny. If you know him at all you know his phone number was not widely distributed. I was privy to the Delmarva Arbitron Ratings about six months ago. 88.7 The Bridge was #1, Froggy 99.9 #2, Q105 #3, 92.7 WGMD #4 and WXDE105.9 #5. The only time slot WXDE was ahead of WGMD was the morning slot. So talk radio gets beat out by Christian, Country and Variety music stations. Makes what you do on the radio pretty irrelevant. And WXDE can’t get passed WGMD. That makes what you have written here pretty irrelevant too. Not that you’d care but I listen to the #1 station. So just keep typing and listening to the irrelevance. Dan Gaffney owns the morning slot. It doesn’t matter what station he works for, he will draw the most listeners, and justifiably so- he runs a good program. Colley was expected to save GMD single-handedly, which is impossible. The simple fact is that this area cannot support two talk-radio stations. I enjoyed Colley because of his intelligence, his knowledge of history and politics. If you mentioned Kristallnacht or Franz Boas, he knew what you were talking about. But try as he might, he could never make local politics that interesting, because local politics isn’t very interesting; it’s more about gossip and back-stabbing. On national politics, Colley was well versed. Bill Colley is a professional, and Frank is an amateur. It’s easy to go to a ball game and boo the slugger for striking-out. But the slugger is a professional- he’s being paid to play. And the amateur- who will never be paid to play because he can’t- is jealous, and vents his frustration accordingly. Ah, Ricky Booby, go back and look, I posted his Facebook comment in its entirety word for word an actual screen shot of it. Are you that thick. Learn to read and read to learn. Ricky Booby, thank you for coming here and giving your opinion of Colley and his show, and I hope you cleaned the crack of his backside while you had your head up it kissing it. As for his “save your phone calls” comment, again, I have been in the room with the man, at events where he avoided listeners, and no not just me. He also had made comments on air about when he is off air he doesn’t want to be bothered by callers. You see I am writing with context and background, you are defending out of blind allegiance. I am not here to defend any radio station, simply my view. Rick, I actually agree with you, Colley was better at national politics, the reason he couldn’t do local is because he thought it was beneath him. What he failed, or reused to recognize, local is what the people here want. As for him being a professional? Yes he got paid, but there is more than that to being a professional, like integrity and honesty, both of which in my opinion he lacked. You are also correct, I am not a professional, nor have I ever claimed to be, I am just a guy who writes his opinions and then defends them. I write what I believe, not to earn more money or to move to a bigger market. like most professional are trying to do, but simply because I believe the things I write. Darned if I see “his Facebook comment in its entirety”. What am I not seeing here? Is the box thingy something I have to click on to open up so I can see his Facebook comment in its entirety ? Real intelligent sentence, it could have been in the movie they made about me. I have been in the room with the man also. He has a right to not be in character every minute of his life. Maybe you will be well known some day too and will see what it is like to have people like you pawing at you all the time. See, that explains why he didn’t want you pawing at him. You wrote, “You see I am writing with context and background, you are defending out of blind allegiance. I never said I was a fan of his. I am pointing out how you love to kick people when they are down and out. I hope you are never down and out. Oh what a kicking contest that would be. Booby, not sure what your computer issue is, but I have checked the post on two different computers and the screen shot is there. But maybe another guest will tell us if they see it or not. As for your so called kicking contest? Bring it, I kick back. I could find nothing on his Facebook page, except that he used to work at Resort Broadcasting and 92.7 WGMD but now is host at WFBL and anchor/reporter at WTVH. These stations are in New York State, from whence he came. Honi, thank you, you are correct it was a tweet, not FB. Can you see it posted in the body of the original post? the guy originally struck while the iron was hot. he was good at reading all the conservative and fringe sites and regurgitating what he read. he was sort of tone deaf to the fact that the tea party mentality was on the decline. i don’t know if he believes what he says and insults people personally on purpose or if it is all an act to further his career. he was good at his job for a time, but there were things he said and did that demonstrated he lacked common decency. I’m not surprised his ratings dropped, Half his audience was recently either in trial, or awaiting trial …. Colley and you have a lot in common. You were “the once leader of Hate in the Sussex GOP and Hate on DE Politics and you were fired from both slots. Now, you are relegated to posting on this lonely blogsite. Colley will survive this. He has been fired before. So far, no one else sees your Facebook screenshot. WINNING! Ricky, I was voted out of the GOP EC, and proud of it, they have become nothing but a front for the TEA Patriots that do nothing but hold meetings that accomplish nothing. As for DP, you are either misinformed or intentionally lying, I happen to believe that you are intentionally lying since I have already addressed this, but little brains do what they can. As I said, I have checked on two separate computers and the shot is there, if your Windows 98 isn’t loading it, not my fault. Bill Colley’s public life is an open book for all to read, even I here have been very honest about my past and my current life. You on the other hand come here and hide behind a screen name and criticize. At least I do my criticizing using my own name, people know who I am, they can challenge me personally as you have done. You on the other hand tell us how great you are, but no one can check the facts. So why don’t you climb up out of your mother’s basement, and get involved, but be honest and do it as yourself. Obviously you have a great deal of time on your hands, or at least one hand is free, so go out and work for the sheriff, or whichever right wing fringe candidate that has your attention right now. You say I do nothing but write this blog, that is not true and the people who know, already know, and people like you never will. But what do you do? Other than come here and comment on this as you say, “lonely blog site”? So wash your right hand and go out and shake some hands in support of your fringe friends. 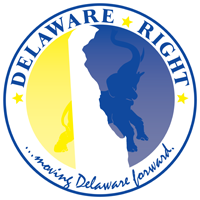 Or better yet, submit a post to Delaware Right. But you have to come out of the closet so to speak. Ricky, my apologies, I have checked on a third computer and the screen shot is not there. I will attempt to correct this when I get home from work. Several months after Colley started his job at WGMD, Pat Fish phoned in to his show. She heard him say that PAPER bags were clogging up landfills, and she wanted to correct the record by saying that it was PLASTIC bags doing that. She thought Colley would be happy that she called. Not. Colley “ripped” her “loudly and rudely on the air”, he hung up on her and “he and other called continued to lambaste” her. Pat was only one of many treated that way. Colley is a racist I doubt many would disagree with that, except maybe the sheriffs campaign manager and the other TEA members Frank speaks of. I just discovered Colley is a member of the oath keepers, who have been accused of being a racist group by the splc The bylaws for the organization supposedly forbids such people from joining or members associating with such people. Ask and ye shall receive. Colley’s Tweet should be in the post again now. Happy? Adios to a pompous blow hard whose political prognostication was generally wrong. Take your carpet bag back to up state NY. Six hosts, two stations, one opinion. Meh. Fired as I predicted. Bill “The Coward” Colley. Frank’s statement above is one of the many reasons I have referred to him as a Coward! When challenged by a caller he hung up. A Coward he was! I hope he has to ask the Government for assistance! Oh wait! Will the Coward sign up for unemployment compensation? Bill Colley has been my personal friend since 2007. Although many people who do not know him can’t wait to characterize him as a “hater,” “racist” and “coward,” I can say without equivocation that he is none of those things. Having worked with Bill on-air at ‘GMD from ’09 to ’11, I can tell you that, sadly, that station does have some systemic problems. I do think their current on-air line-up is doing a very good job; Mike Bradley, Jim Rash and Doug Beatty are all competent professionals, as is their current G.M. But Bill was, and remains, the dean of Sussex county broadcasters. And unless a person has many years’ experience in commercial radio, and can tear into an Arbitron report, it’s best not to judge commercial performance from the outside. “12+ ratings” are virtually meaningless. For each “tolerant, open-minded liberal” celebrating his departure, dozens, if not hundreds, lamented it. If you are a “hater”, “racist”, and “coward”, can you recognize when others are? And still he remains unemployed in Sussex County! Ken, all I know he was terminated. Doug Beatty was an obnoxious punk! His idiotic cartoon characters and silliness were nauseating. He showed his character by supporting Bill Colley, Eric Bodenweiser AND former Sheriff Jeff Christopher. Enough said! Bill Colley was a Bully….. coward! He would stutter and stammer and stomp his feet when challenged and then hang up on anyone who stood up to him. ” Because I can, it’s my show”. I think everyone knew he wouldn’t last. Good by Doug Beatty and Bill Colley! ← Who Knew What Was Happening In The Bodenweiser Case? Not Don Ayotte!